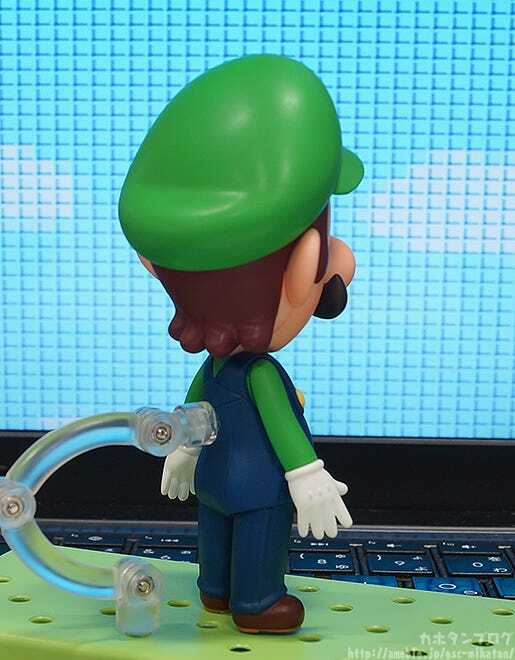 Kahotan's Blog | GOOD SMILE COMPANY Figure Reviews | Luigi’s 30th Anniversary Year! 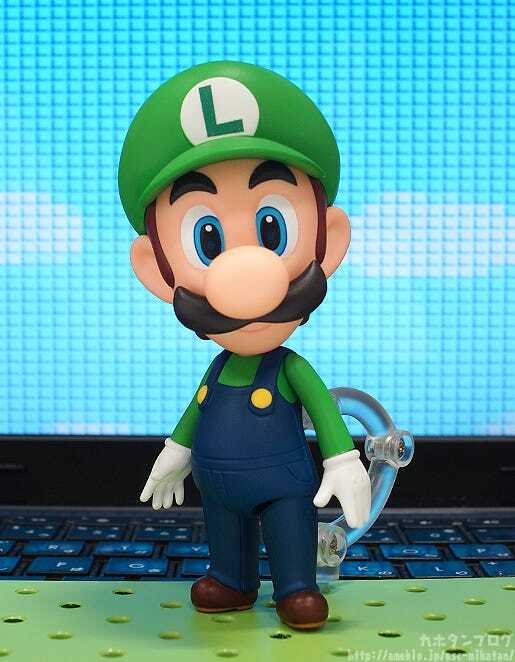 Nendoroid Luigi! 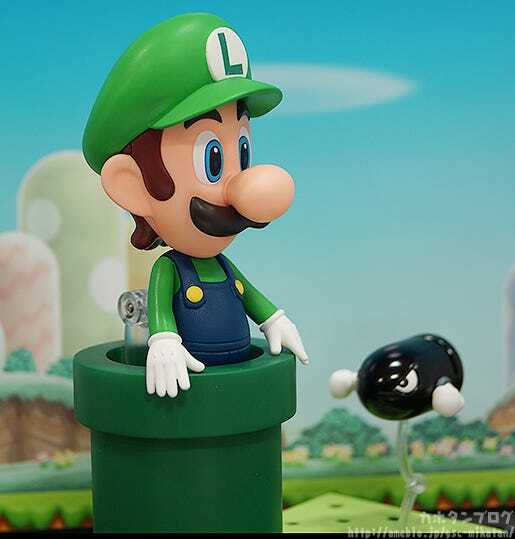 Luigi’s 30th Anniversary Year! 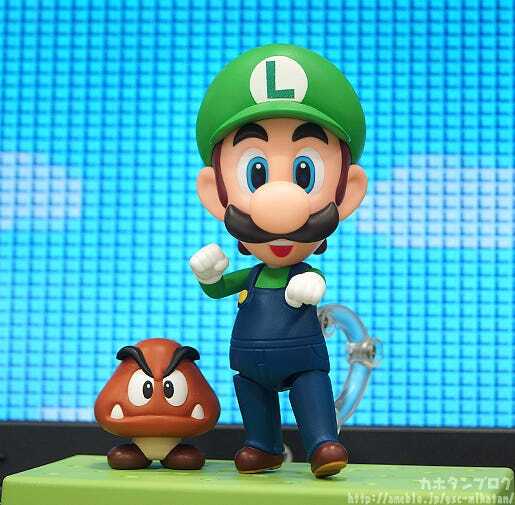 Nendoroid Luigi! 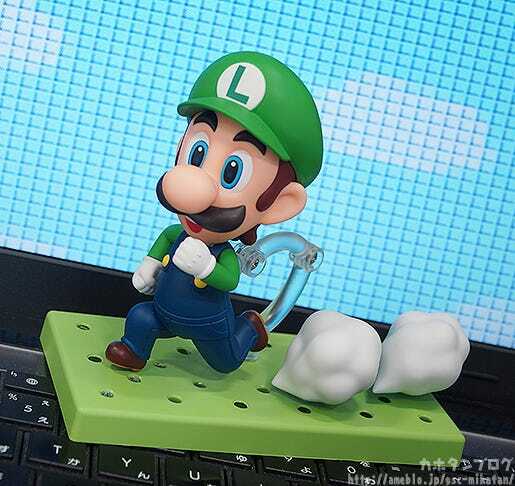 In commemoration of ‘THE YEAR OF LUIGI’ comes a Nendoroid of Luigi from Super Mario! 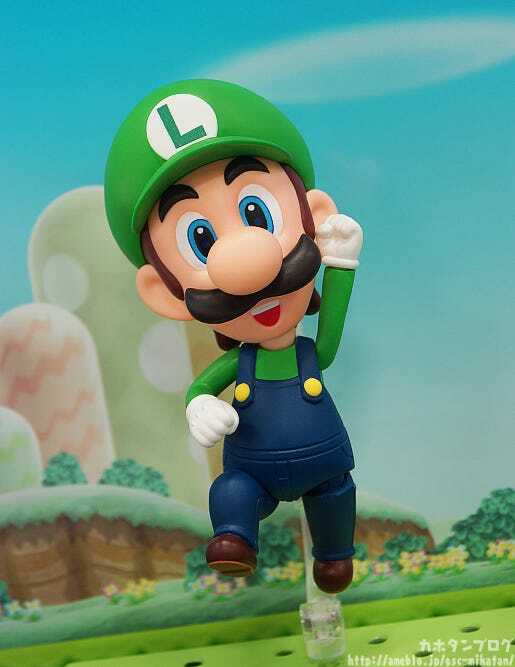 He comes with three expressions including his standard expression, a smiling expression and even a surprised expression – allowing you to display Luigi in all sorts of poses! 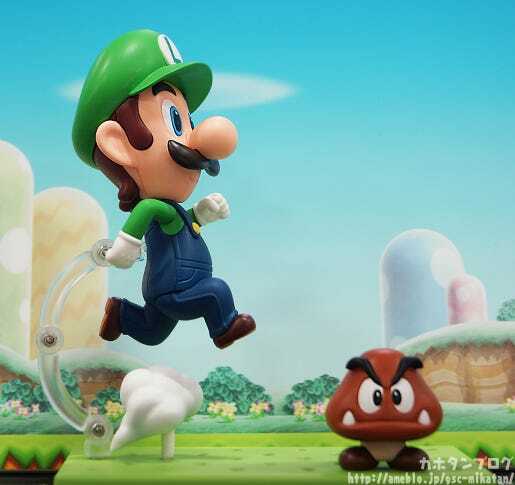 He also comes with dash and jumping effect parts, as well as a pipe to bring out the atmosphere of the game! Two of the classic enemies Super Mario enemies, the Goomba and Bullet Bill, are both included allowing for various classic scenes from the game to be recreated! 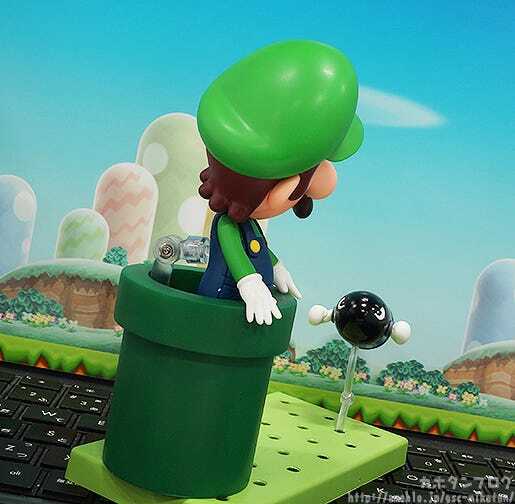 All of the special characteristics that make him Luigi have been kept in tact, while still ensuring the design fits into the Nendoroid series! 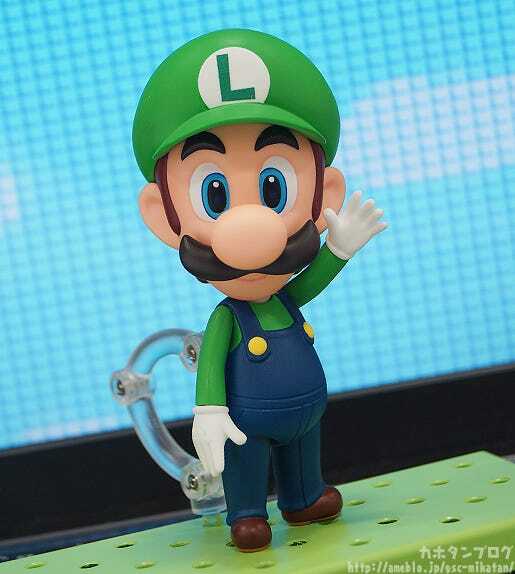 A little while back during the design process he was actually a little less Nendoroid and more of the classic Luigi… but since he was joining the Nendoroid series, we decided we had to make sure he fitted into the series nicely! 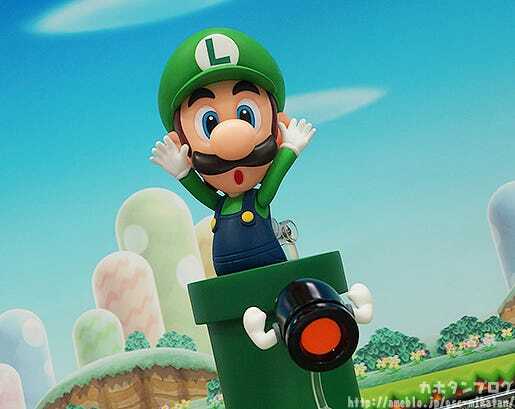 For those who don’t know, 2013 is the 30th anniversary of when Luigi first appeared in a Mario game! The game was released in 1983 as ‘Mario Brothers’! At the moment you can find it on all sorts of gaming platforms, so I’m sure many of you have played it at some point! 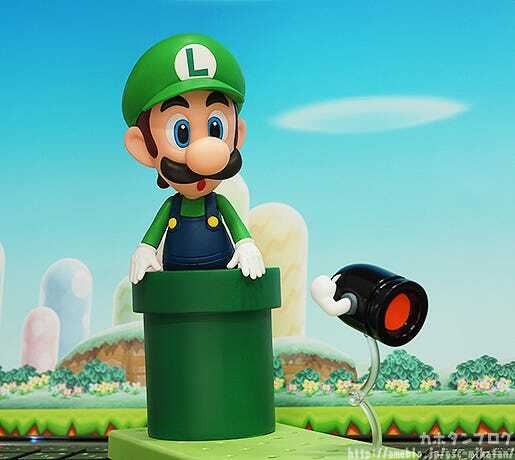 Personally I like his character in the Luigi’s Mansion’s games! 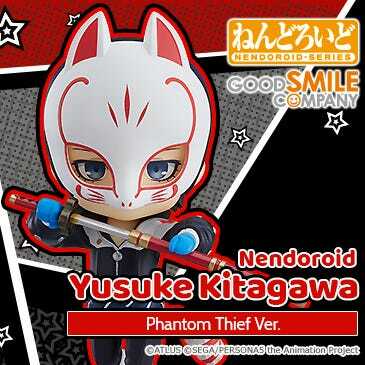 The fact that as more and more games were released his character slowly evolved further and further is a rather interesting thing to consider! 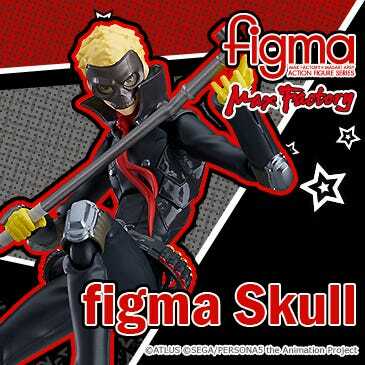 Another lovely thing is that he comes with a huge selection of optional parts to help recreate scenes from the games! This includes enemies such as the Goomba and Bullet Bill, as well as the must-have pipe! 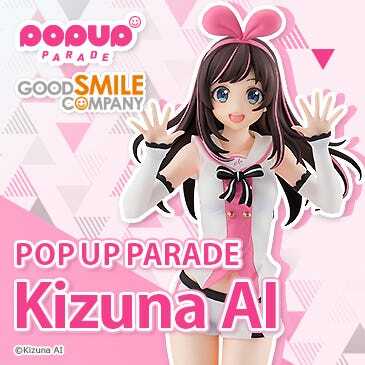 We’re joined by the head planner, Kyojin! 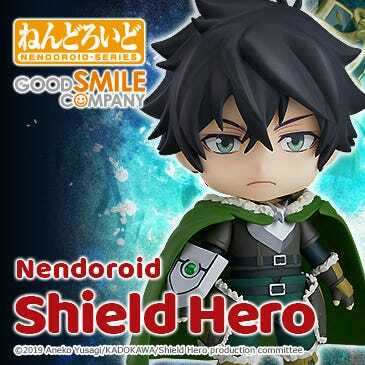 He really is a Nendoroid full of fun! 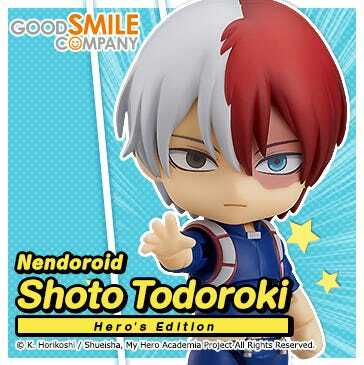 I want to grab him myself for more fun!! By the way, what made you pick the Goomba and Bullet Bill as the two enemies to include with him? There must have been so many options to choose from! 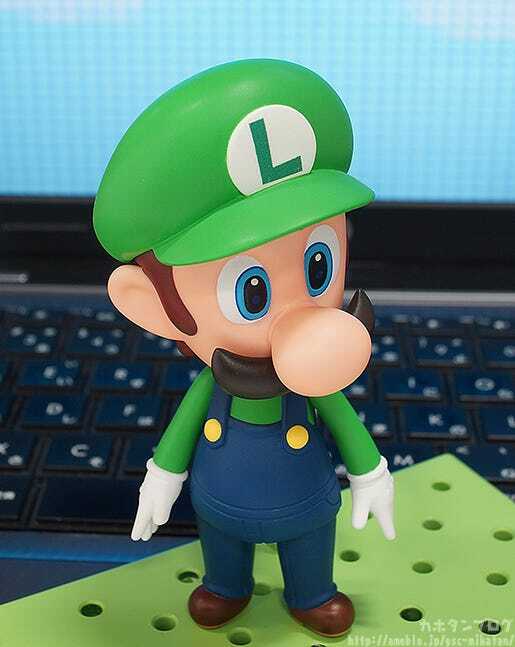 Luigi’s “Oh!” surprised expression really brings out his personality! 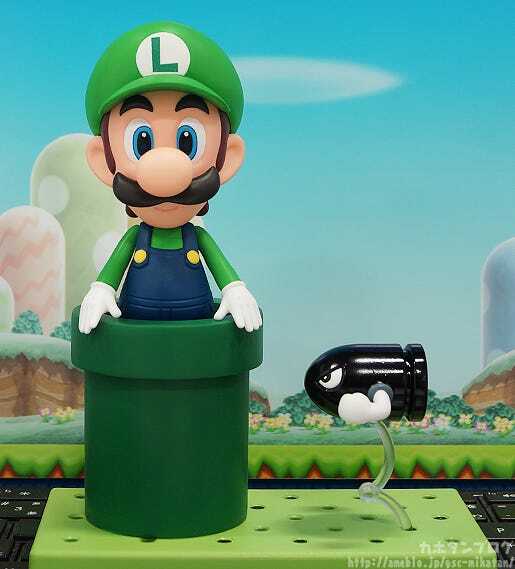 By the way, even Bullet Bill’s arms are articulated! It looks so fluffy!! 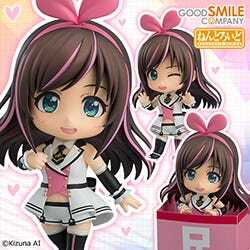 (o・ω・o)!! 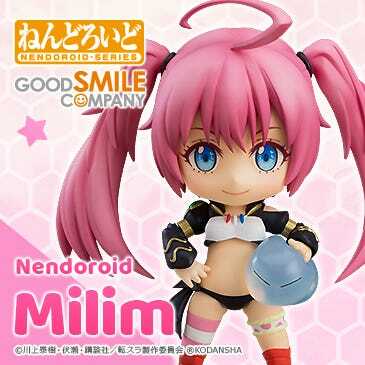 Filled with all sorts of extra parts for loads of fun! 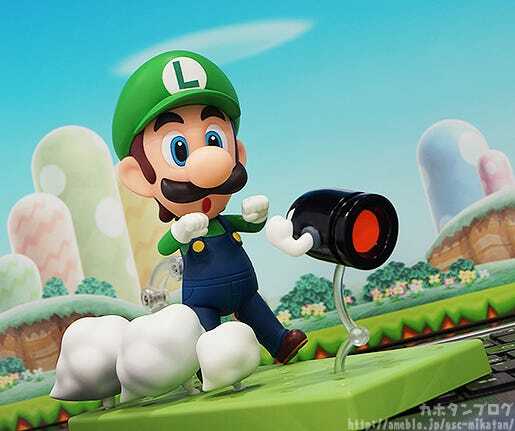 Luigi = Mario and Mario = Invincible Star!